To celebrate the 50th anniversary. 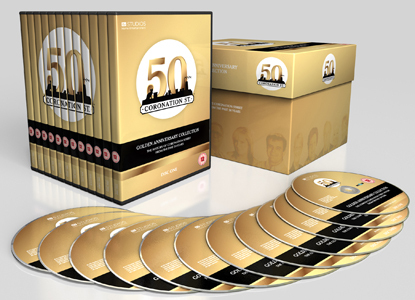 A premium collector's Coronation Street box set. 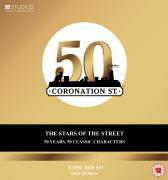 Includes Stars of the Street - Coronation Street 50th Anniversary, plus all the Corrie specials, exposed and family album programmes plus 30 key episodes.